5/14 - Indian-ish: A dinner with Priya Krishna & Meherwan Irani. Click here for tickets. 4/19 -Atlanta Magazine 50 Best Restaurants Party, 6 to 9 p.m.
Chai Pani's own YouTube series is now online! Check out all the episodes by clicking here, and be sure to subscribe to our YouTube channel to watch new and exciting videos! Chai Pani literally means “tea and water.” It’s slang in India for going out for a cup of tea, a tasty bite, a snack, or “a little something.” Chai Pani can also mean a small bribe just enough to get a bite to eat. Well at Chai Pani Decatur, you won’t have to bribe us for innovative, fun, affordable and delicious Indian cuisine. When Chai Pani Asheville first opened its doors in 2009, we couldn’t close them for several hours . . . literally. There was a line of expectant customers out the door, blocking the sidewalk, and wanting food most of them had never heard of. We can’t be sure Vishnu himself gave Chai Pani the nod of approval, but to those customers who wept over the bliss they experienced while eating a potato uttapam, what other conclusion can be drawn? After a few years of growing and learning on our feet, at the urging of the loyal customers and happy food critics, we decided to expand to the Atlanta area, and where better than beautiful downtown Decatur? But surely this would be a more subdued opening . . . after all, could the magic be recreated? Does lightning strike twice? 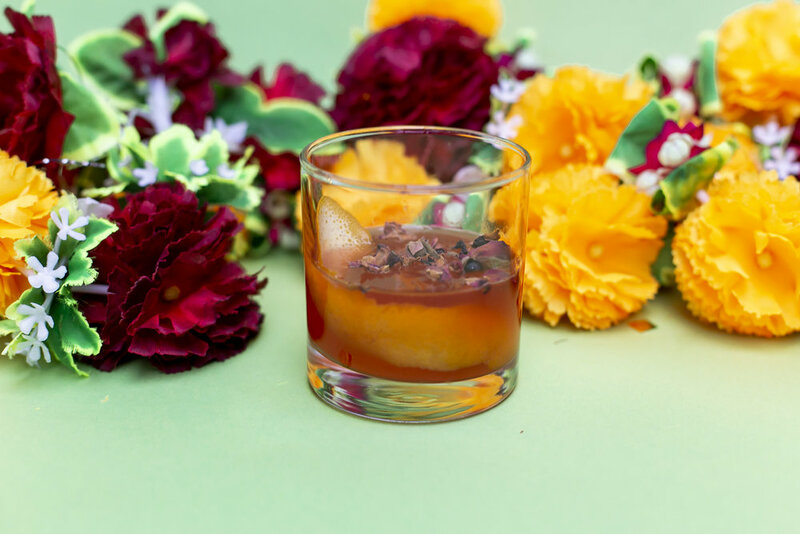 After the core team swore a blood oath and agreed to move to Decatur, the work to bring the best flavors and brightest colors of India to the Atlanta area began. And somehow, word spread. Well before the doors opened, droves of hungry people and journalists called and showed up in person. Like Indra’s mighty thunderbolt, lightning struck again in Decatur, before the paint even dried! 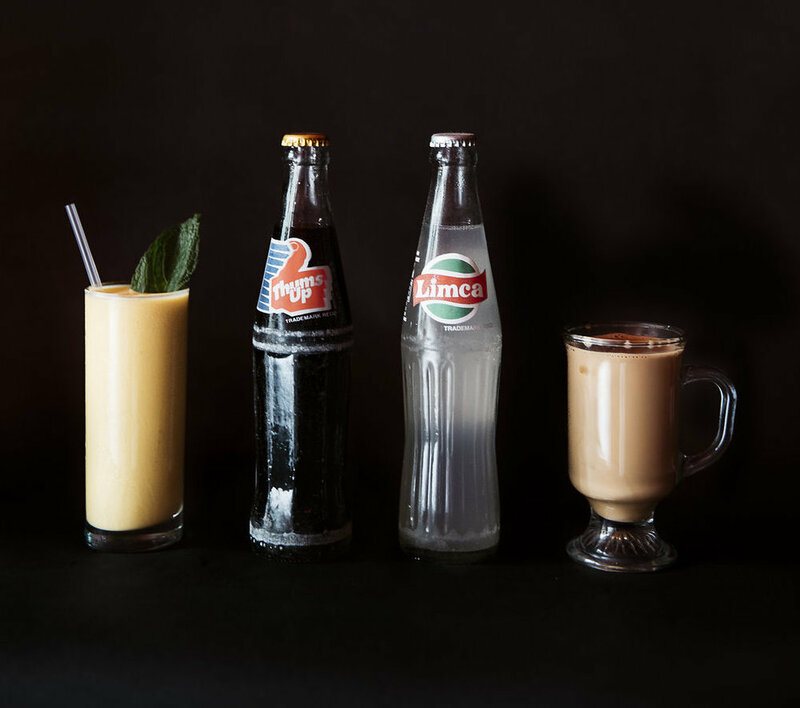 We are humbled by the welcome we’ve received and pledge to serve your insatiable desire for Indian street food, with our one of a kind culinary creations and libations. And don’t forget the Chai— rivers and rivers of delicious Chai. Join us for a cup. In the heart of downtown Decatur, just a few miles from Atlanta. We have parking and no reservations are needed. What is Indian Street Food? Street vendors, usually specializing in a single dish, gather in the streets, and byways of India, and prepare fresh food for people on the go. All the words and pictures in the world can’t tell you what it’s like to bite into a multi-layered samosa, smothered in tamarind and mint chutney, nor what real chai tastes like, nor can they explain just how good this food is . . . 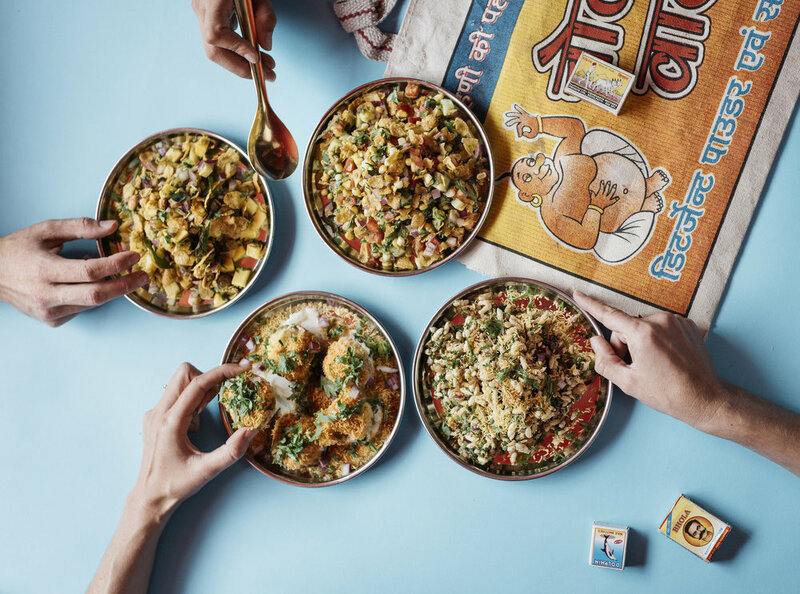 But we’re going to try to convey the harmony of textures, flavors (sweet, savory, sour, salty, and spicy), aromas, and overall sensations that make up Chai Pani’s Indian Street Food. 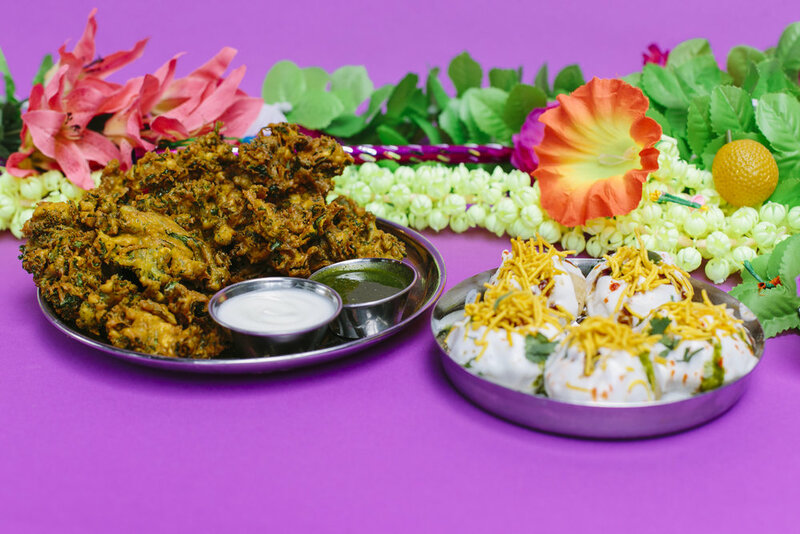 At Chai Pani, we serve a range of traditional Indian Street Food, drinks, and thalis, but we also celebrate the innovation and evolution of food. Before the Portuguese brought the chili pepper to Goa in the early 1600’s, India had never tasted the fiery possibilities. Before the Beatles traveled to India, most Americans had never heard a sitar! To know true culinary bliss, you simply have to try it. See our menu for current selections and our vegan and gluten-free options. Also, make sure to like us on facebook and follow us on twitter to learn about daily specials and events. We purchase fresh produce daily from local purveyors and source from local farms when possible. We cook only in pure trans-fat free canola oil or ghee (clarified butter). We use no artificial flavors, coloring or ingredients in anything, ever. We roast and grind our own spice blends, and make all our chutneys and sauces in-house. We don’t serve on disposables to reduce waste in landfills. Our to go containers are compostable, eco-friendly & biodegradable. We recycle all paper, cardboard, plastic, glass & metal. Want to get our most recent news? We post to @chaipanidecatur on Facebook, Twitter and Instagram whenever we have exciting news to share about our specials, our amazing staff, any work we're doing with and in the community, and more! Want to mindblast your next office party or executive lunch with delicious Chai Pani food? Simply click below to place a catering order. Due to limited space in our kitchen we are typically unable to accommodate most large specialty catering orders. However, we’re always open to talking about it! Just click below to submit a catering inquiry. CLICK HERE TO SUBMIT A CATERING INQUIRY! Questions about Chai Pani? Check out our FAQ’s below. Didn’t see an answer? We’re here to help. Just send us an email: info@chaipanidecatur.com. DO YOU HAVE TAKEOUT/DELIVERY? Yes! To place an order for pickup click here. For delivery we have a couple different options: UberEats, DoorDash, ChowNow, GrubHub. Please note that during busy days we turn off delivery service. WHAT TYPE OF SERVICE DO YOU OFFER? During lunch, we’re a counter service restaurant. During dinner, we are a full service restaurant with a full bar. DO YOU MAKE CHARITABLE DONATIONS? Yes, we put money back into our local communities through give-back nights, community initiatives, and donations. We also support initiatives in India that are near and dear to our hearts. If you’re interested in getting in touch with our team to request a donation or suggest a give-back night, email givingback@chaipani.net. HOW CAN I PROVIDE FEEDBACK? We’d love to hear from you, the sweet people that make our world go round. Feel free to send us an email at info@chaipanidecatur.com and we promise to get back in touch! DO YOU TAKE RESERVATIONS? Unfortunately, we do not accept reservations or call ahead seating for any size party. We are first come/first serve only. That being said, we encourage you to come on the earlier side of the evening and you should be ok! DO YOU DO CATERING? We love catering! Feel free to send us an email at catering@chaipanidecatur.com and we promise to get back in touch! DO YOU OFFER VEGETARIAN/VEGAN/GLUTEN FREE DISHES? We do! Take a look at our special diets menu here. IS YOUR MEAT HALAL? All of our lamb is halal. On the Chai Pani menu, the Lamb Burgers and the Sloppy Jai are halal. WHERE DO YOU SELL MERCHANDISE? In the restaurant and online! Check it out online here. DO YOU HAVE OUTDOOR SEATING? We do! PARKING? There is parking available in the lot surrounding the building. There is also street parking available. After 5:30PM, Sharian Rugs, a couple doors down, allows for guest parking in their lot as well. HOW CAN I PURCHASE A GIFT CARDS? You can buy Gift Cards online by clicking here or in the restaurant. HOW CAN I CHECK THE STATUS OF MY GIFT CARD ORDER? Email INFO@chaipanidecatur.com with your order number. HOW DO I GET THE BALANCE ON MY GIFT CARD? Email INFO@chaipanidecatur.com with the number on the back of your gift card. HOW CAN I LEARN ABOUT EMPLOYMENT OPPORTUNITIES? Click here to see all job openings. CLICK HERE TO REACH US ABOUT ANYTHING THAT'S ON YOUR MIND!